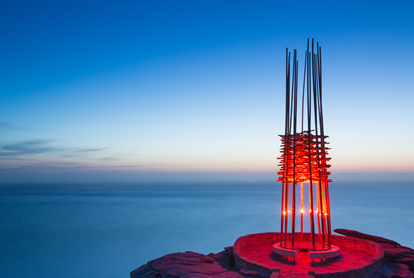 Sculpture by the Sea, Bondi, the world's largest annual free-to-the-public outdoor sculpture exhibition returns to the spectacular Bondi to Tamarama coastal walk from 22 October – 8 November this year. For the nineteenth year, this stunning stretch of Sydney coastline will be transformed into a free-to-the-public outdoor sculpture exhibition, featuring more than 100 works by Australian and international artists. Over 30 international artists will be showcased this year, including artists from Brazil to Poland, Japan to Slovakia and the USA to the Czech Republic. One of Sydney's best attended and most photogenic events, Sculpture by the Sea, Bondi attracts more than 500,000 visitors over 18 days and for many heralds the beginning of summer in Sydney. 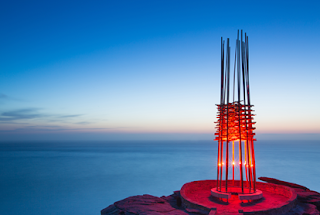 This year Macquarie Group returns as Principal Sponsor of Sculpture by the Sea, Bondi for the third year, with the $60,000 Macquarie Group Sculpture Prize, as well as presenting the Macquarie Group Sculpture Inside Prize for small sculpture. The Macquarie Group Sculpture Prize is the most generous annual sculpture prize in Australia and the award winning work will again be gifted for permanent public display at Headland Park, Georges Heights, set against the spectacular and historically significant Middle Head, overlooking Sydney Harbour.